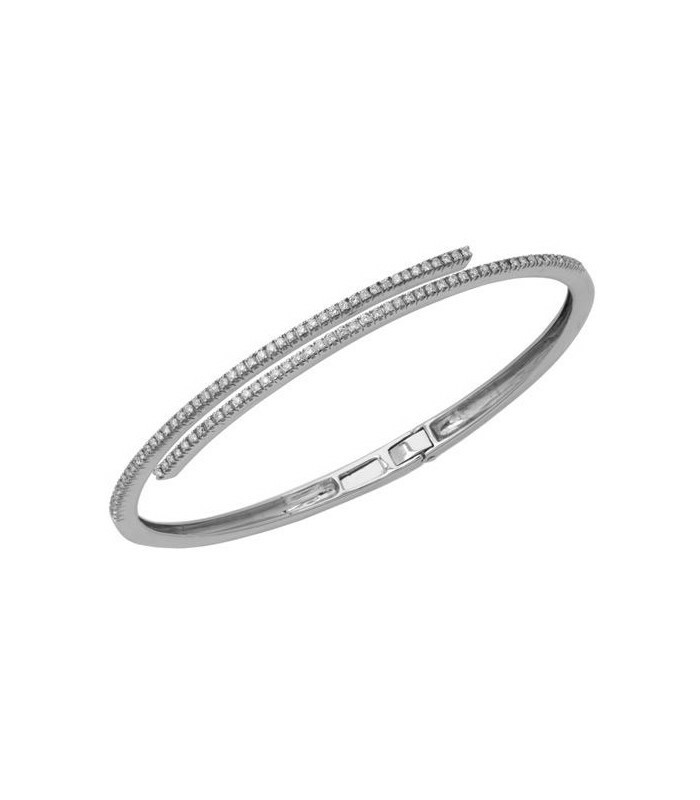 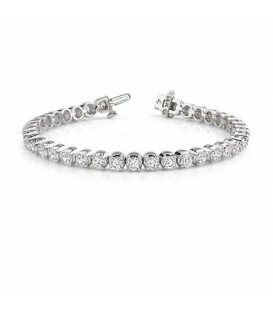 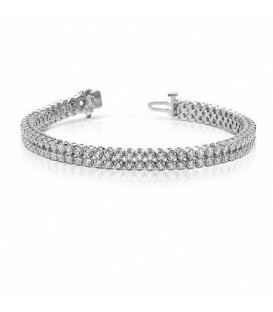 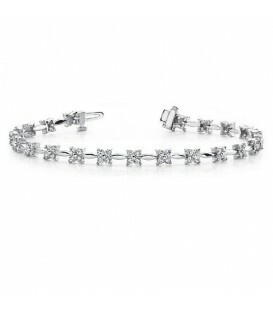 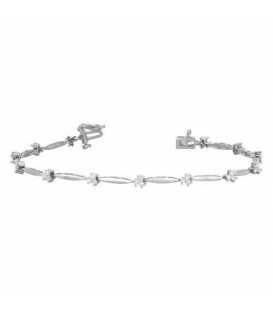 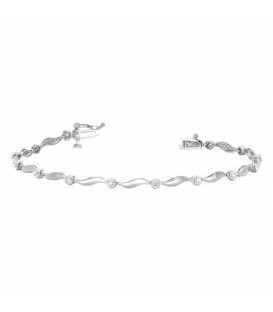 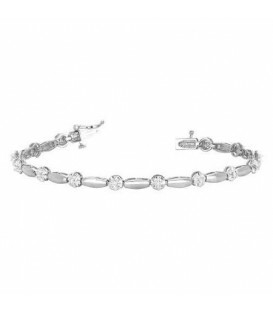 A modern 0.54 Carat Round Diamond Bracelet Bangle in 18 Karat White Gold. 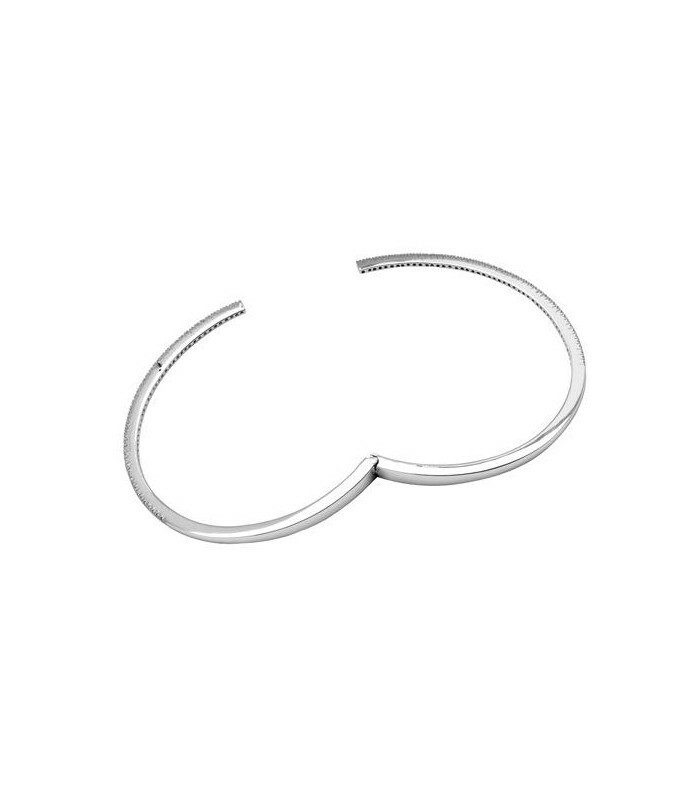 Hinged open-close for ease and comfort. 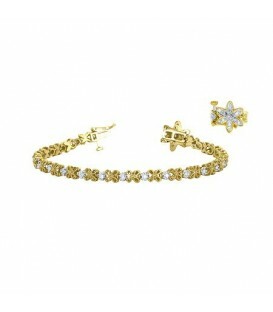 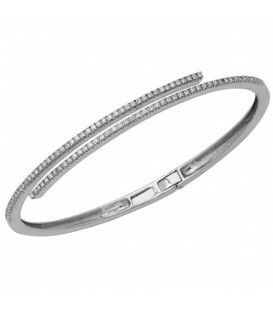 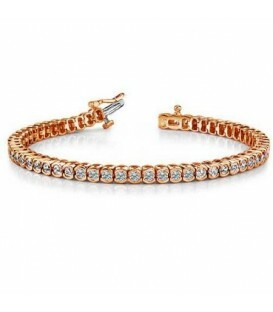 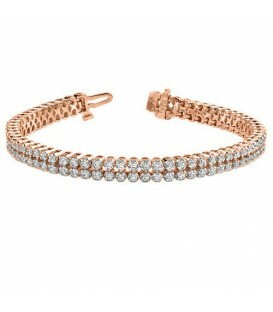 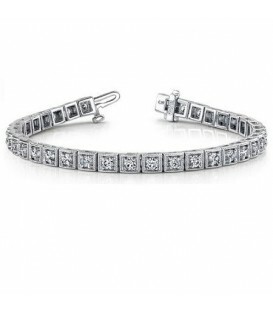 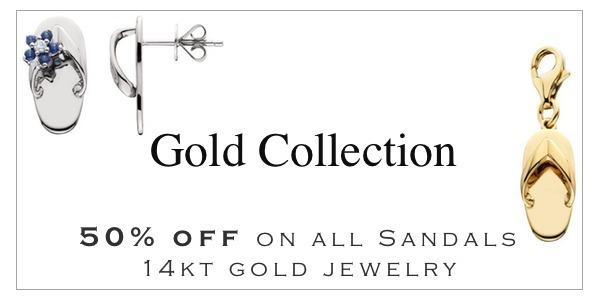 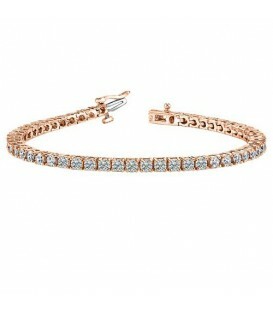 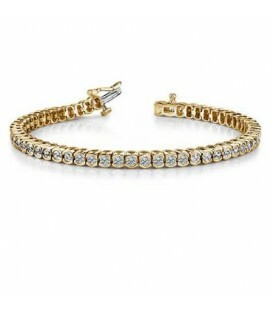 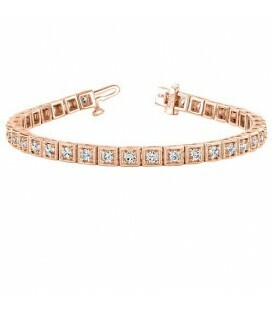 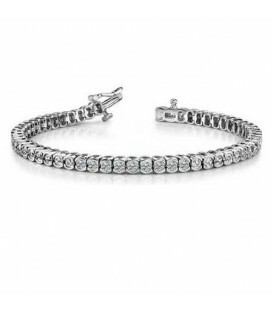 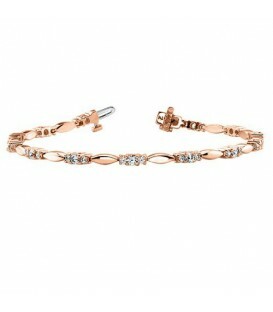 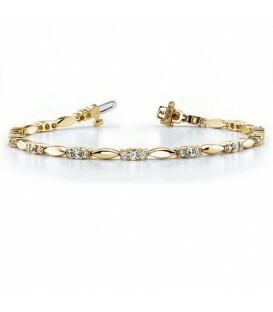 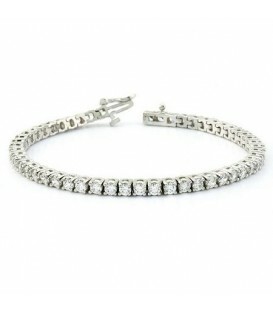 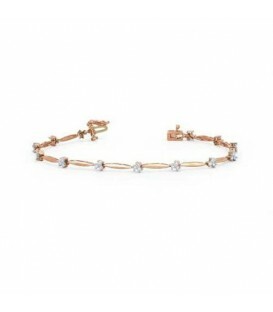 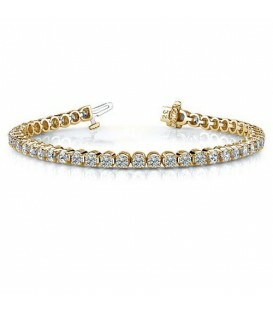 Simply elegant Diamond and 18 Karat Gold hinged Bangle Bracelet. 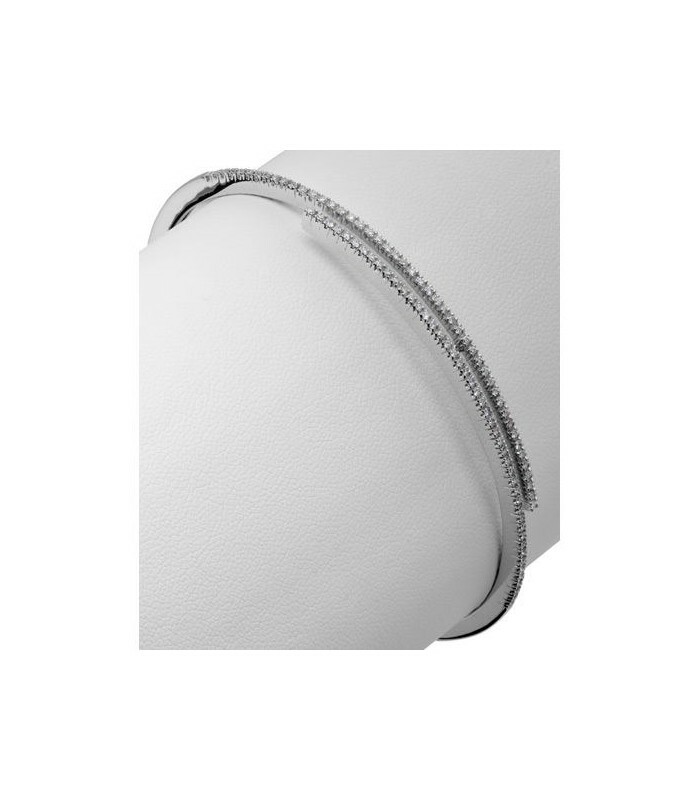 Expertly created with a secure hinge for comfort and ease of wear. 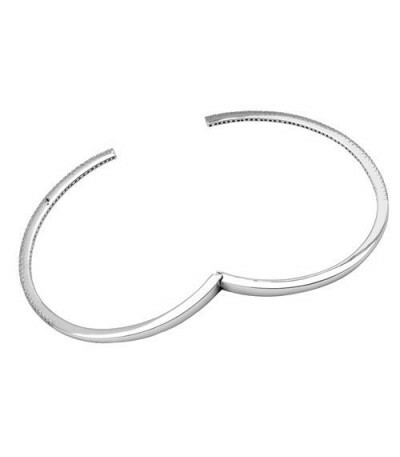 Stunning yet simple precious jewelry. 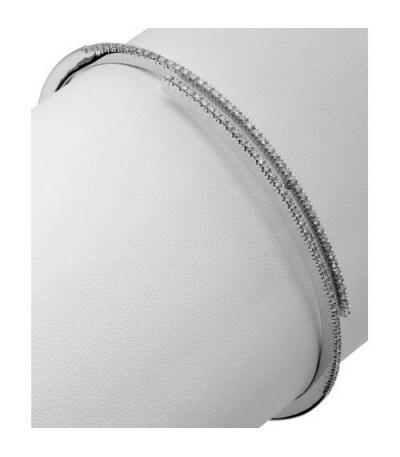 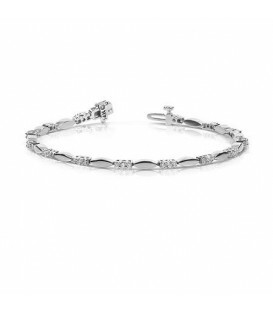 *BANGLE* One (1) Amoro eighteen karat (18kt) white gold Diamond bangle, featuring: Ninety four (94) pave set, round brilliant, Genuine Diamonds, weighing a total of approximately 0.54 carats. 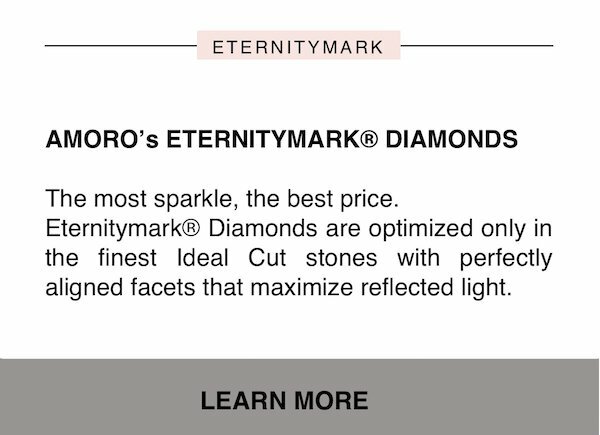 Diamond clarity: SI1-2 and Diamond color H-I.